WASHINGTON—In the wake of the May 23 bridge collapse in Washington state, Rep. John Delany (D-Md.) introduced the Partnership to Build America Act to rebuild the country’s transportation, energy, water, and education infrastructure, without raising taxes. The bill proposes to create the American Infrastructure Fund. The fund would provide loans to state and local governments to fund qualified infrastructure projects. “We can’t compete in the global economy of the 21st century without a significant investment in our infrastructure. At no cost to the taxpayer, this legislation will finance a massive investment in U.S. infrastructure, get Americans back to work now, and position our businesses to grow for decades to come,” stated Delaney in a press release. “This fund will be capitalized by the sale of 50-year bonds that are not guaranteed by the Federal government and pay 1 percent interest rate,” stated Congressman Jared Polis (D-Colo.) in a press release. “To encourage U.S. corporations to purchase these bonds, they will be allowed to repatriate a certain dollar amount—determined by auction—in overseas earnings tax-free for every $1 they invest in the bonds. The American Society of Civil Engineers (ASCE) estimates that we will need to invest $3.6 trillion in U.S. infrastructure by 2020. According to the ASCE, the United States faces a significant backlog of overdue maintenance across all of its infrastructure systems and needs reliable long-term funding. The ASCE gave the United States a D+ in its 2013 report that graded the state of the nation’s infrastructure on an A through F scale. “We need to come up with a proactive plan to assess the state of our current infrastructure,” said Richard Grant, co-owner of Russell Corrosion Consultants. 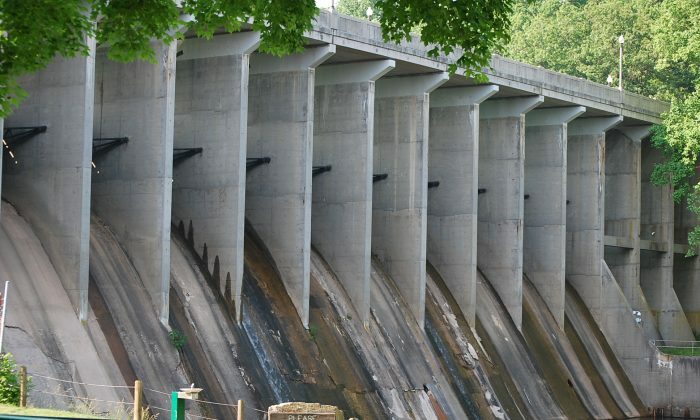 Grant says that in addition to offering funding for maintenance, federal and state governments and municipalities need to take stock of their infrastructure assets, and monitor and assesses them to prevent failures. The Maryland State Highway Administration has begun a number of bridge and road maintenance and construction projects. Construction crews will replace two bridges that carry MD 4, (Pennsylvania Avenue) over MD 223, (Woodyard Road) in Prince George’s County. Workers will replace four-span steel beam bridges with two-span two plate steel girder bridges that will be better able to support future traffic.